Your Move Anscombs estate agents York offers estate agency services throughout the city of York and across the Vale of York. We occupy one of the most prominent locations right in the heart of the city on Colliergate, which is close to the top of the historic Shambles. York is one of the most famous cities in the north of the UK and a key economic, educational and tourist centre within North Yorkshire. 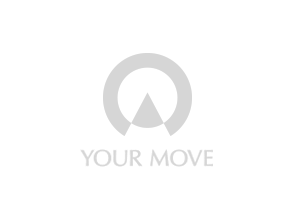 Your Move Anscombs offers residential property for sale in all areas across the Vale of York including the city centre (YO1), within the York outer ring road (YO10, YO19, YO23, YO24, YO26, YO30, YO31, YO32) as well as key commuter villages, including Copmanthorpe, Bishopthorpe, Dunnington, Stockton on the Forest, Earswick, Strensall, Haxby, Wigginton, Skelton and Poppleton and rural villages beyond. If you are looking to sell your property in York, whether a house, bungalow, apartment or any residential unit, we offer a FREE property valuation service. Find out more about the services offered by Your Move Estate Agents in York, North Yorkshire.